On August 17th 1974, 33,043 people paid a total of $280,000 to hear David Crosby, Stephen Stills, Graham Nash and Neil Young play 31 tunes for four hours at Old Dominion University’s Foreman Field. 67,000 Coca-Colas were sold that day. Temperatures reached a balmy 88 degrees. There were five doctors, three medical students, one pharmacist, 27 nurses and 18 paramedics on duty. They treated 55 people suffering from heat stroke, nine drunks, 29 people with cuts, eight people with nausea, one fracture and 27 people who had a little too much of certain illegal substances. Promoters hired 150 off-duty police officers. Four individuals were arrested for selling drugs, 12 for disorderly conduct and five for drunkenness. 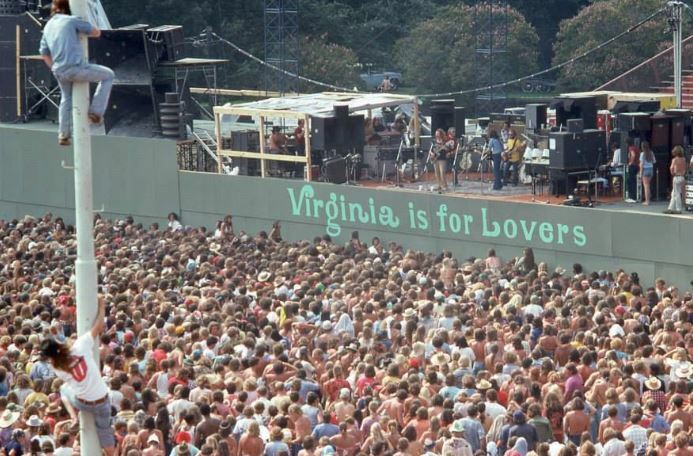 It was later written that those who were at the concert were sure to never forget the day that CSNY invaded Norfolk. I was there. I was NOT one of the casualties.